HOUSTON (KTRK) -- No one was harmed in an exchange of gunfire in a parking lot at The Galleria, just days before the area will be on display for Super Bowl LI. Two suspects have been charged in the shooting. Jeremy Arvie, 24, is charged with possession of marijuana and unlawful carrying of a weapon. He is in HPD jail on a total bond of $1,500. Marquis Allen, 23, is charged with a felony in possession of a weapon. He is in HPD jail on $5,000 bond. Allen has previously been arrested for burglary, theft and evading arrest. HPD says they haven't filed charges for the shooting due to no eyewitnesses. 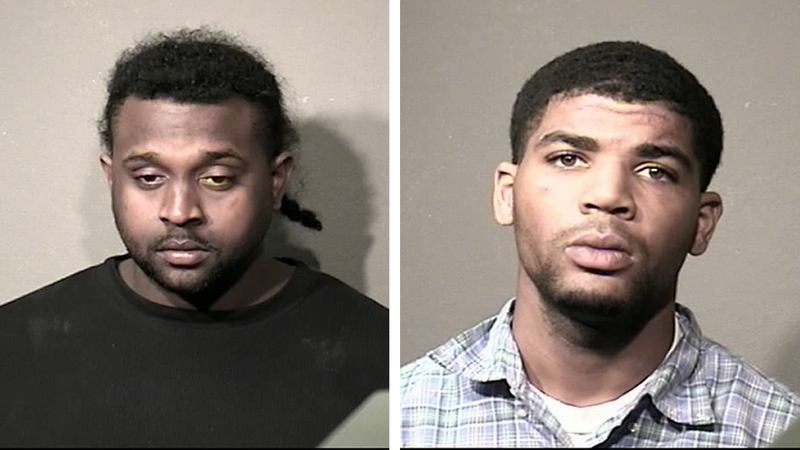 Soon police had two cars stopped and searched in a parking garage, and arrested Arvie and Allen. Police say most of the suspects got away.